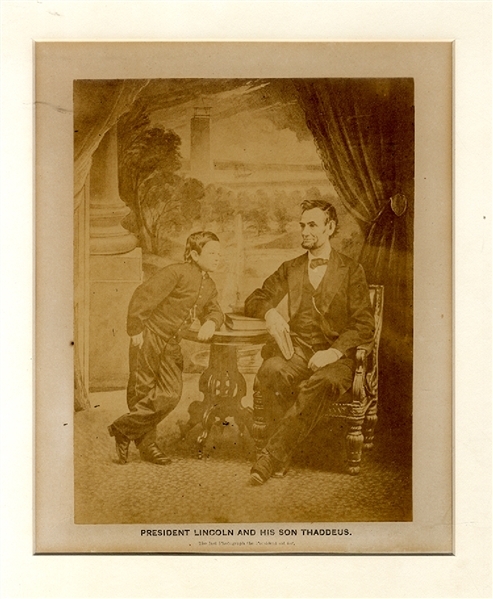 Albumen photograph of “PRESIDENT LINCOLN AND HIS SON THADDEUS. The Last Photograph the President sat for.” 6-1/4”x8-1/4”. Fine condition.